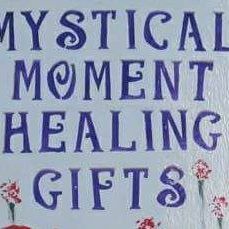 From my understanding, we all have access to the divine realm of spiritual guidance or spirit guides, to assist us on our Journeys through life. I believe that there is more to us than our physical, visible bodies. We are made up of matter, as are non-living materials. At our smallest unit, commonly agreed upon, we are made up of atoms. But atoms themselves are made up of electrons, protons and neutrons, which themselves are composed of space and light. In the “beginning” there was space, light and sound. Light and sound can come in the form of waves. The distance from the peak of one wave to the next is called the wave-length and the height or distance of each wave from the crest to the trough is called the amplitude. Frequency is measured by the number of crest passages (waves) or number of oscillations per unit of time. The shorter the wave-length, the higher the frequency and energy. Light is electromagnetic radiation, a type of energy. Generally speaking, we say all electromagnetic radiation travels at the same speed which is about 3.0 * 108 meters per second through a vacuum. 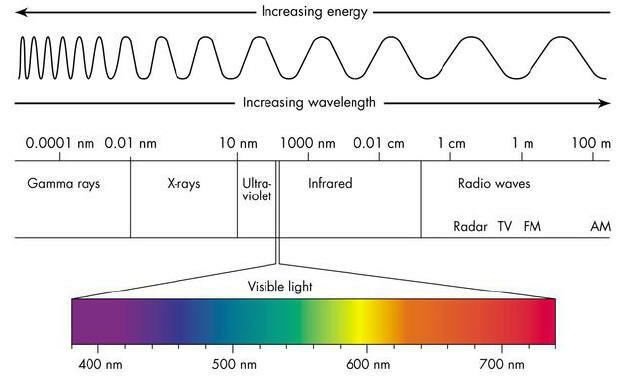 The human eye can detect light at wavelengths between 400 to 900 nanometers only, and we call this part of the electromagnetic spectrum visible light. Because atoms are made up of light, we are light beings. All matter is light actually. Dark matter cannot be seen by emitted light, but that does not mean it did not come from light. Antimatter means atomic particles reflected in time. The difference between a particle and an antiparticle is that while a particle is moving in one direction through complex spacetime, the antiparticle is moving in exactly the opposite direction through complex spacetime. The point of all this is that all living beings have a subtle electromagnetic energy field around them or an aura. This energy field contains their consciousness or awareness at a level or in a “space” not constrained to the mind and the brain. Around us are also subtle light entities. These are entities that are not visible to the human eye, because they are made up of light, whereas human beings are made up of both light and dense matter. Matter changes, it is never destroyed, this is the law of the conservation of energy. Spirit Guides are helpful light beings (or entities) which are real because the origin of everything is light, and not all light is manifested (or incarnated) into solid matter form as we know it. Spirit Guides are the light essence of angelic or other high frequency beings or of human beings that have passed away, or the light essence of animal sources. 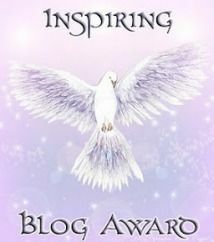 Spirit Guides protect us, guide us, and provide encouragement and inspiration. First, there are the guides who stay with you your entire life. Every person has several Spirit Guides with them at various times throughout their lives. We each have at least one non animal and one animal permanent guide or Life Guide, whom is familiar with each person’s unique life plan, and has agreed to help the person on her/his Life path from birth to death. 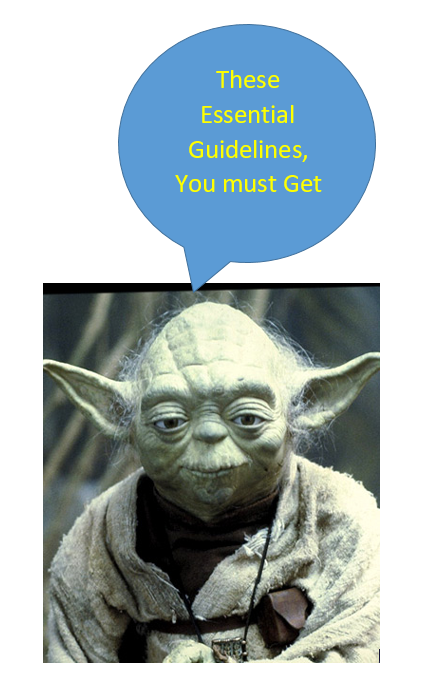 Dominant Guides are guides who are around to help a person with a certain aspect of their life, such as with relationships or career or health. These guides may not solely “belong” to a person, but rather, they assist several people, and are considered a person’s dominant guides in comparison to a person’s Life Guide or Life Guides. This is because they are dominant in our lives, assisting us throughout a large part of our lives. Temporary guides are guides brought in by your higher self or your dominant guide to help you with a specific crisis or task. They jump in to assist and leave when the task or crisis is complete, and have experience or expertise in the task or crisis you are handling. Animal Guides are spirit guides in animal form who help you navigate through life’s challenges and transitions. The source of power for your animal spirit guide is not just a single animal, but the entire species. For instance, if your Animal Gude is “Bear”, it’s not a particular bear, but rather, it is an animal that is representative of the entire species of bears, i.e. it is a bear symbolic of all bears. Animal spirits choose you to guide. You do not choose them. In the shamanic belief, every thing is alive and carries with it power and wisdom. Animal Guides are an essential component of shamanic practice. They are the helping spirits which add to the power of the shaman and are essential for any work undertaken by a shaman. When we open our hearts to the Oneness of all life, we see that every species has the potential to be a an ally or a significant teacher. 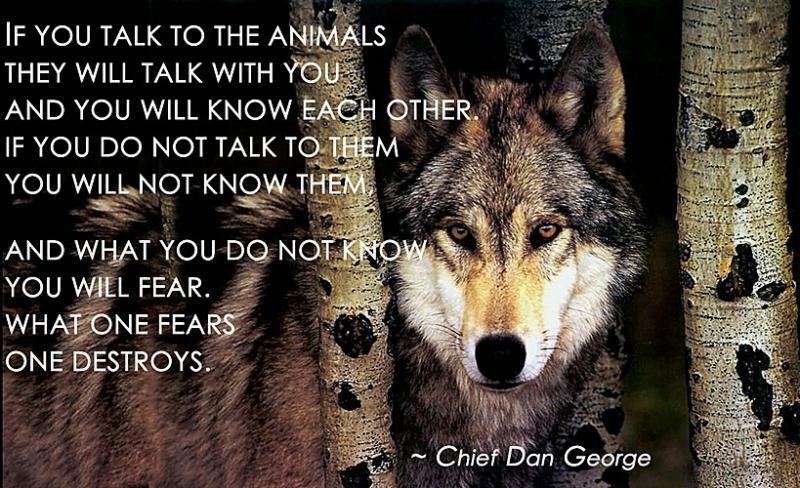 According to Native American Indian belief, we each have 9 Animal Guides which choose to guide us. These Animal Guides symbolize the “medicine” or knowledge and skills that a person needs during specific periods of the person’s Life journey. These Guides teach you how to manage the energy or influence of each direction – being East, South, West, North, Above, Below, and Within. There are additionally Animal Guides on your left and on your right, which are with you at all times from birth until death. Please see this post here for information on how to find your 9 Animal Guides, through a reading with Lin from Lins Domain. Lin refers to the 9 Animal Guides as Totem Animals, but I believe that the Animal “Below” is the person’s actual Totem Animal. This is because I have been in a guided meditation where I met one of my Totem Animals, the Eagle. Trisha McCagh of Animal Talk ran the meditation as part of a course on communicating telepathically with animals. In my reading by Lin, the Eagle is one of my 9 Animal Guides, the guide that is in the direction “below”. If the spirit of an animal unites with the person it has chosen, such that the animal and the person actually have very similar characteristics, and there is a powerful and obvious synchronicity between the two, such Spirit Animal Guide is the person’s Totem Animal or main guardian Animal Guide. The term Power Animal can also be used to mean the Totem Animal. In other words, the Totem Animal and the Power Animal are one and the same, a person’s main life-time Animal Guardian. Some will say that a person can have many Power Animals or Totem Animals, but I like to think that each person has got many Animal Guides, but just one or two Power Animals or Totem Animals – being the Animal Below and / or the Animal Within according to the Native American Indian tradition of 9 Animal Guides. The Power Animal or Totem Animal is a creature you can shape shift into and therefore, can see through it’’s eyes and hear with it ears, and so forth. It lives within you, and is the wild creature that you are deep down. 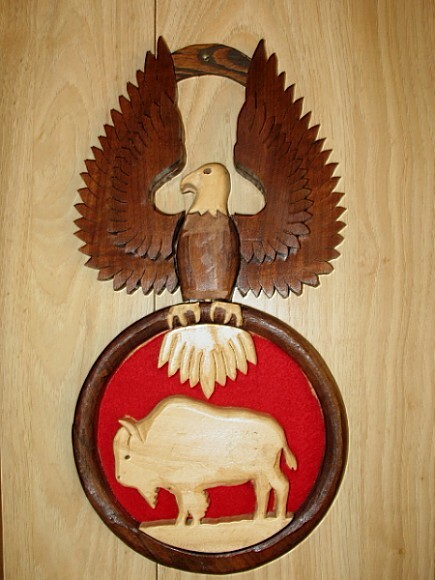 The Buffalo is my other Totem Animal, the Animal Within. Some schools of thought say the Animal on the Left side and on the Right side are your Totem Animals, but I believe that the Animals Within and Below are the Totem Animals in terms of the main permanent animal guardians. I say this from a “knowing” or personal experience, and due to the fact that in the guided meditation by Trisha, I met an Eagle, and furthermore Lin’s reading shows the Eagle is my Animal Guide Below. I also strongly resonate with the Buffalo – my Animal Guide Within – in terms of living in Australia I didn’t even know what a Buffalo was, but the animal kept appearing in my life, and I have also been in a Medicine Wheel ceremony where I merged with the Buffalo spirit. There are three different types of animals souls: high protector animal souls, familiars, and all other animal souls. There are only three high protectors: Dragon, Phoenix and Unicorn/Pegasus (whose souls are interchangeable). These souls only incarnate when there is a living animal like them; if not, they stay in spirit form and usually the totems to people with older souls. A trustworthy psychic reader can tell you who your current Animal Guides are at any stage of your life. I have been told by a lady whom did a “contract reading” for me that I have a Rainbow coloured Dragon as one of my Animal Guides. Lin’s reading of my 9 Animal Guides revealed that the Phoenix is my North Animal Guide, reminding me how to be grateful for each day – by believing in the perpetual cycle of transformation. So I have two “high protector” animals as Guides. Having said that, you may be surprised and not particularly like one or some of the animals that appear in a reading or a meditation. That is alright, because quite often it is NOT the animal companions (some call them “pets” but I don’t) around you that reveal your own Animal Guides. On the other hand, one of your Animal Spirit Guides can be an animal that you actually don’t like much. For example, my Guide on the Right (male / protector side) is “Skunk” which initially I was not happy about, but which I have come to accept. People may like their Power Animal to be the Wolf or something they love, but remember, the Animals choose you, not the other way around. I have had the Frog as a dominant guide – although I quite like frogs, many people don’t. Also, Spider has been a dominant Guide in my Life, and I can say that even though I like “Charlotte’s Web”, spiders are not my first choice of animal companion ! How Native Americans find their Animal Guides can be found at the link below. Traditionally the Totem Animal or Power Animal spirit would first come to an individual through a dream, vision quest or pilgrimage to a sacred place of power, meditation, or through an encounter with it in the physical world in which its presence and relationship availability is communicated. Rembember to connect only to helpful or benevolent Spirit Guides by visualising white light around you to protect you from lower astral entities that may try to confuse or upset you, and consciously addressing your helpful Guides sincerely as “Guides of the light“. I have listed interesting resources below which may help you to find your Animal Guides. I have had an “Animal Totem” reading by Lin, which I have kindly shared at this post here for people to see how it works. I find Lin’s readings reliable because I have cross-referenced her results with other findings. Lin calls the animals in her Reading as “Totem Animals” in the sense of animals particular to an individual person, but I like to call the Animal Within and / or the Animal Below, the Totem Animal/s or the Power Animal/s (i.e. the main Animal Guardian/s). What resonates with you will be your truth. UPDATE on Lins Domain: Sadly, it has come to my attention that Lin has been very un-well and no longer able to do readings. I have done my own research and found a soul-ful person in the UK who can do the reading of your 9 Animal Totems. I have not used her services, but she may be the right person for you. You may be able to find someone whom reads “contracts” (agreements), and / or does “guardian angel” or “spirit guide” readings, such as the one below which I like, whom you can contact and ask if they can do a reading of your Animal Spirit Guides. An archetype is a generic, idealized model of a person, object or concept from which similar instances are derived, copied, or patterned. Archetypes are visual symbols or energetic imprints that we all share. As Archetypes, Animal Guides represent the essence of the energetic concept of the animal and its nature, which helps us to better understand and connect with our own nature. The Animal Kingdom offers amazing insights / wisdom, as I have personally discovered from my astral journeys with some of the animals, of which their teachings can be found at this page of my Peace website here. At any time, you can call upon a particular Animal for its “medicine”. There are Workshops and Classes around on Shamanism and on Animal Telepathic Communication, of which a teaching / knowledge / wisdom element may be to engage you in a Medicine Wheel ceremony or a Guided Meditation where you meet your Guides, including your Animal Guides. Explore and seek, be patient and genuine, with honest caring intention, and you will find. Once you know at least some of your Animal Guides, get to know their qualities and characteristics and the spheres of your Life that they are dominant in. Go into a quiet space and visualise yourself meeting the animal, and with an attitude of grattitude, asking it for specific or general guidance. Then “feel” for or sense the answer or response, or hear or see it, or write it down or draw it. Your first impressions will count. Merge with the animal if that helps you. Ask for your Animal Guide’s counsel or for their “medicine” at that particular point of “time”, and you will receive it, even if not immediately, then later through subtle means – such as a sudden inspiration or thought – a voice in your head – or an image or a song or something tangible that inexplicably turns up. How can this be? As I said, everything is made of energy and energy is basically light. The light within you connects with the light within your Spirit Guides, and in a universe of inextricably inter-connected atoms and light particles – – consciousness and matter is “magically” orchestrated and directed where it should go. Be the Light and let the light of your Animal Guides and other Guides help you light your way. I too believe we have 9 animal spirits who walk with us, some continually, some when required.